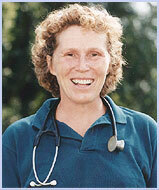 Atopic dermatitis in dogs, feline symmetrical alopecia, hives and allergic skin problems in horses. Hydroxyzine HCl is an H1 receptor antihistamine. It competes with histamine for receptor sites on the target cells in the respiratory tract, intestines, blood vessels, and the skin. Pharmacologic effects of antihistamines include anticholinergic, sedative, antispasmodic, local anesthetic, mild bronchodilation, and antiemetic. Hydroxyzine is well-absorbed after oral administration and generally takes 20-45 minutes to exert an effect. Antihistamines including hydroxyzine act more rapidly if given systemically although the intravenous route is more likely to cause side effects and is not used commonly. If antihistamines alone are unable to control all of the allergic signs, they may be used with corticosteroids allowing use of a lower dose of the corticosteroids. Hydroxyzine is one of a number of different antihistamines that may be used in dogs as a part of treatment for atopic dermatitis. Different animals may respond to different antihistamines. Each antihistamine drug should be given a seven to ten day trial before trying a different one. Antihistamines alone are able to control itching in about 20 - 40% of dogs. In many instances it will need to be combined with a corticosteroid. Hydroxyzine is effective for six to eight hours in the dog. Hydroxyzine is used in cats with feline symmetrical alopecia of allergic origin, miliary dermatitis, and eosinophilic granuloma complex. It may be possible to treat with antihistamine and possibly corticosteroids initially while the causative agent is identified and eliminated or managed. Hydroxyzine is effective for up to 12 hours in the cat. Chlorpheniramine is an antihistamine that is used more commonly in the cat. Hydroxyzine HCL is used to treat hives and itchy or bumpy allergic skin reactions in horses. It may be given orally or intramuscularly. It is a regulated or prohibited drug in most sanctioned competition (ARCI Class 2). Sedation is the most-common side effect of antihistamine use. Dogs: Less-common side effects include excitement, fine tremors, whole body tremors, and seizures. Cats: Less-common side effects include polydipsia, depression, or behavioral changes. Individuals may react differently to antihistamines. The dose of hydroxyzine should be tailored to the individual animal. Older humans are more sensitive to the side effects from antihistamines. It may be prudent to start older animals at the lower end of the dose range. Hydroxyzine should be used with caution in animals with glaucoma, prostatic hypertrophy, bladder neck obstruction, pyeloduodenal obstruction, cardiac arrythmia, or heart failure. At very high doses, hydroxyzine has been shown to be teratogenic in laboratory animals. It should be used during pregnancy (particularly the first trimester) only when the benefits outweigh the possible risks. Hydroxyzine has an addictive effect when combined with other central nervous system (CNS) depressant drugs such as tranquilizers or other anticholinergic drugs. Overdose may cause increased sedation and possible hypotension. Depending on the circumstances, gut emptying and supportive care should be considered.